The Gentleman Crafter: July Village Piece and Fairy Doors! I don't know about you all, but I'm melting in Central Texas! It's sad to look across my yard and see 50 Shades of Brown...Come on cooler weather is what I say! That's my mantra anyway. I know alot of you are enjoying the heat as you see so many cold days every year. Where ever you are, enjoy these last days of summer. I'm ready for fall..
Today, I wanted to share several things with you. As you may or may not know, I went on vacation in July with a fun road trip from Texas to Alabama, to North Carolina to Virginia. It was a blast. I was so inspired by the architecture of Colonial Williamsburg and decided I needed to create a Georgian House. This type of house can actually be seen everywhere and has been such a classical style that is still built. The house I created may conjure up thoughts of old colonial houses, plantaion houses or even sorority or fraternity houses. LOL! 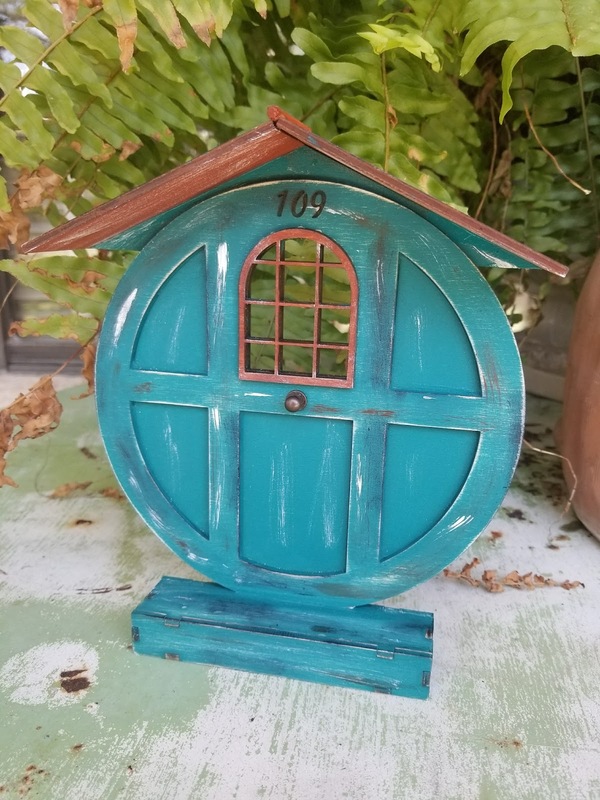 As I was on vacation, I am totally late with July's house, and I loved hearing from you all that you missed it. Thank you for that! I have actually created August's...Domicile shall we say and it sits across from me as I write this. However, I wanted to get July's out first. So August's Village Piece is coming! If you would like to give July's Village piece a try WITH PAPER...Click Here! If you would like to give July's Village piece a try WITHOUT PAPER...Click Here! 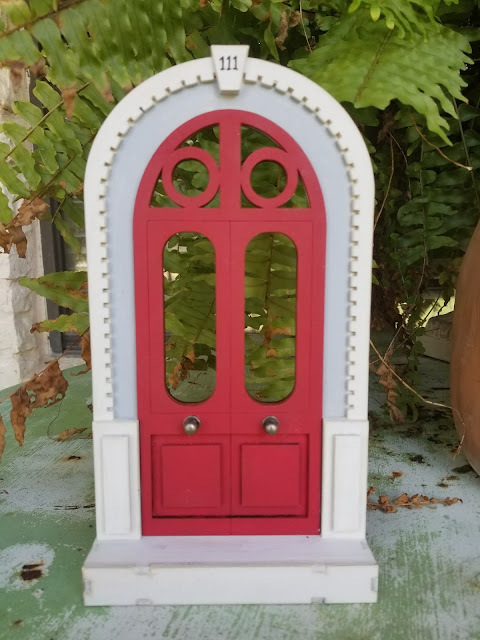 In the wood kits, I've created three new Fairy Doors. 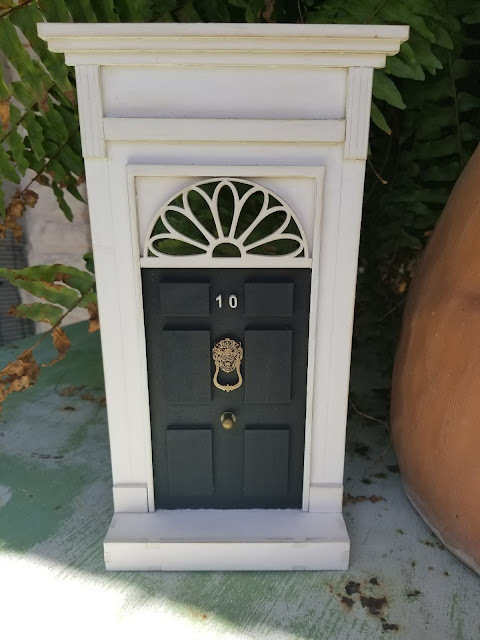 One, is a traditional Hobbit door, one is my interpretation of #10 Downing Street and last is a pretty French Door. If you would like to make this kit...Click Here! OK!!! OK!!! I know this is a long post, but Cesar has been cleaning out my warehouse..aka..the spare bedroom...LOL! He found the following kits and I have added them to the shop in case you are interested. He wanted me to share with you all that he's not finished and there are several more kits coming soon. The Traveling Art Case...Click Here! 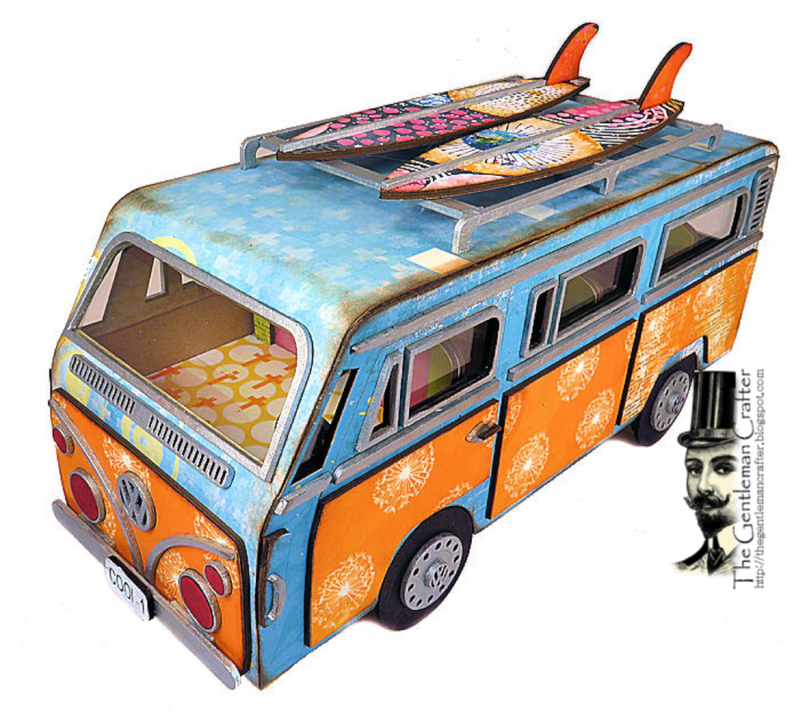 The Groovy VW Van...Click Here! Thanks so much for giving me some of your time. Hope you all have an awesome week ahead and remember August House is coming! It's different and cool! Gorgeous work as always Jim! I wish I lived nearer and could afford to buy them all! Love that Georgian house! And the Art tote is sheer genius!